Why don’t Russian women play football? 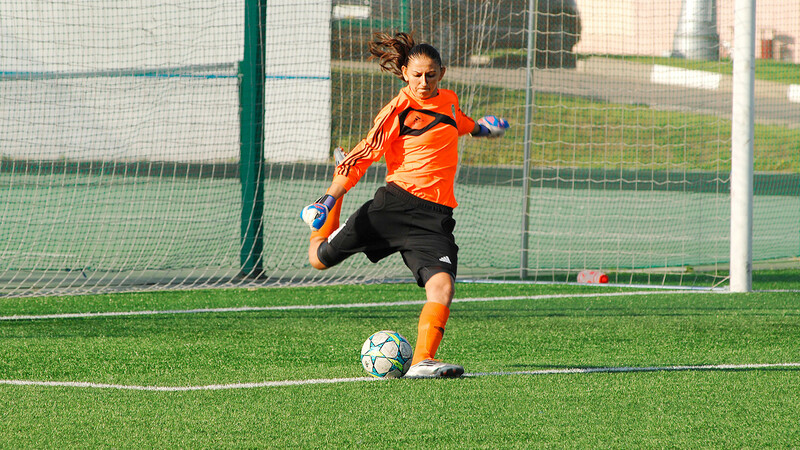 Tatiana Grichenko, goalkeeper of Kubanochka team. Women’s football in Russia has a long way to go to improve its position. One of the hardest tasks it faces is to overcome the huge skepticism of the society. Despite professional women’s football in Russia having existed for more than 30 years, it still lags way behind the status it enjoys in Germany, the U.S. and England. The Russian national team, which occupies 26thplace in the world ranking, has had just two top results: reaching the quarter-finals of the World Cup in 1999 and 2003. 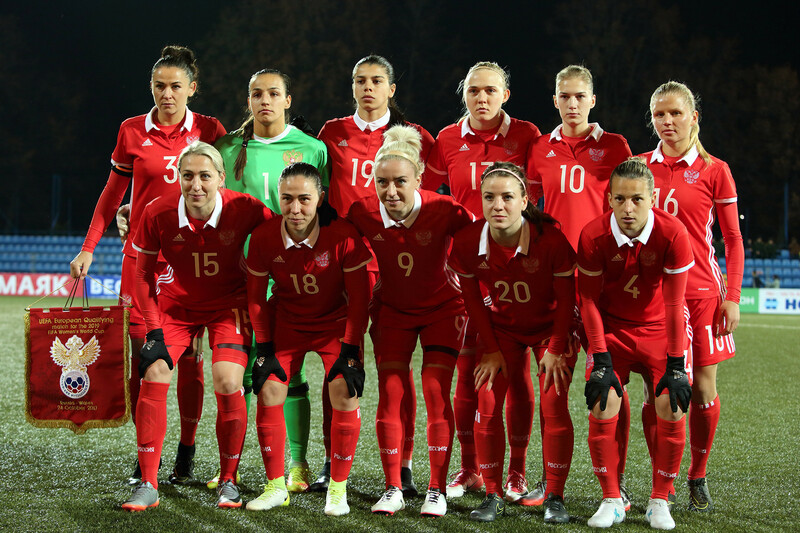 Although the Russian state is making attempts to improve the current situation, there are still major factors that hinder women’s football from growing and developing. The main problem which prevents women’s football in Russia from improving its position is the predominance of the traditional skeptical attitude in the society towards women playing football. “Football is no work for women” is a popular phrase that female footballers often hear. That doesn’t mean though that no one enjoys seeing women play this game. “Some people are surprised to hear that women’s football exists at all. Some are amazed,” Anna Kozhnikova, defender of the Russian national team and FC Locomotive, told Russia Beyond. “But there is also a lot of negativity. People can even tell you to get back in the kitchen as if that’s all you’re good for, she added. 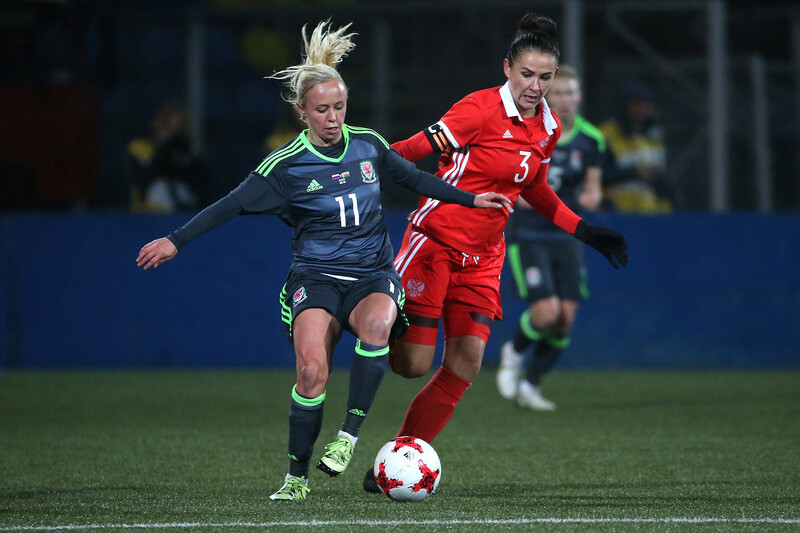 Wales' Nadia Lawrence (L) and Russia's Anna Kozhnikova in the 2019 FIFA Women's World Cup Qualification football match between Russia and Wales. The skeptical attitude hurts investment in women’s football that in turn results in limited information about the sport, and few possibilities for girls to train and play football. Russia women's national football team. “When I first got interested in football, I didn’t have any idea that there were female teams and tournaments. I took up football as a kid, despite the fact that there were no other girls,” Anna Kozhnikova recalls. As things stand, there are too few specialized football academies for women. “FC Krasnodar’s decision to launch a football school for 7-year-old girls was great. I hope that other Russian professional clubs will support this initiative,” Anna says. “We need a serious and professional approach to get a good result,” she added. About 30,000 women play football in Russia, with over 11,000 of them having amateur status and just 200 playing professionally in the eight teams of the Russian Premier League. “Only eight teams for such huge country!” Anna Kozhnikova says. “During the championship we play 14 games and also several games for the Cup. That’s nothing compared to Europe.” For comparison, there are 12 teams in the top leagues of Germany and Sweden, 16 in the Scottish Premier League, and 20 in the two divisions of the English Football Association Women's Super League. The Russian state is trying to change the situation. A new development program aims to quadruple the number of professional female football players by 2020. The sport’s low popularity leads to low attendance of matches. If in Europe and the U.S. thousands attend matches, in Russia there are only hundreds, if not dozens. According to Anna Kozhnikova, the situation with fans is better in women’s clubs which were founded on the basis of male teams: CSKA, Yenisey, and Locomotive. There, women get “fans and unusually nice support” from supporters of the men’s teams. As for the national team, the situation is yet to improve. “We have our fans. I thank them for their support. We feel it, but unfortunately there are too few of them,” Anna says. How to make it popular? Alla Filina supposes that not the absence of investment, but the patriarchal mentality is the main problem which prevents women’s football development in Russia. She believes that such stereotype can be broken only by changing the whole system: rejecting the crude Soviet methods that still exist at sport schools, creating a more conducive atmosphere there, and popularizing women’s football on TV. That won’t happen by broadcasting matches, admits Filina, since they will not be watched, but by the frequent appearance of beautiful female football players on different TV shows. 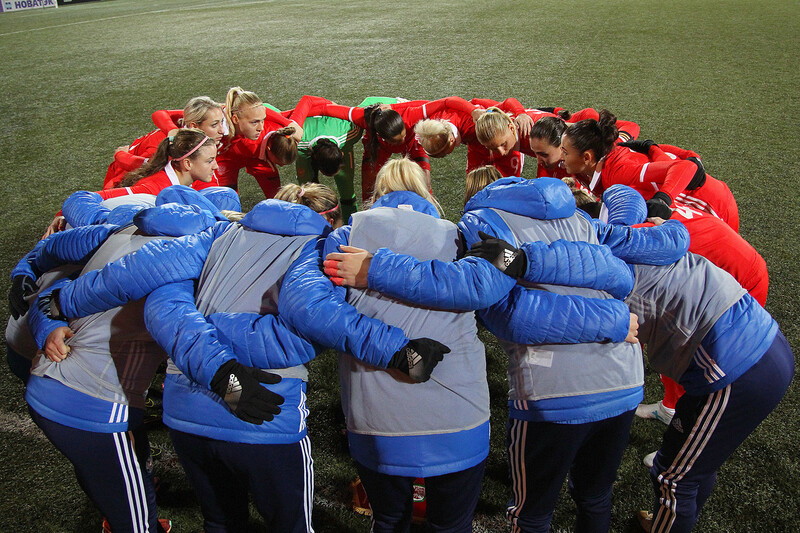 Major victories also significantly raise the profile of women’s football in Russia. For instance, there was a resurgence of interest after the “historical victory” over Italy at Euro-2017. Nelli Korovkina (Russia), Kathrin Hendrich (Germany) and Annike Krahn (Germany), from left, during the Football World Cup 2015 qualification match between the national women's teams of Russia and Germany. And what about the men’s national football team? What problems does it have? Find out here.